You wish you could be more successful, but you are blocked by a wall that prevents you from taking the necessary steps to take yourself, your family and your career to the next level. That wall is built from fear, a poor self-image, bad past experiences or more. 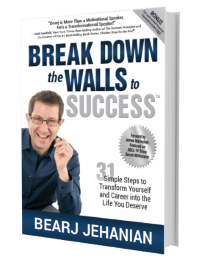 With humor, energy and wisdom, in his signature talk Bearj arms his you and your team with the tools needed to Break Down the Walls to Success. 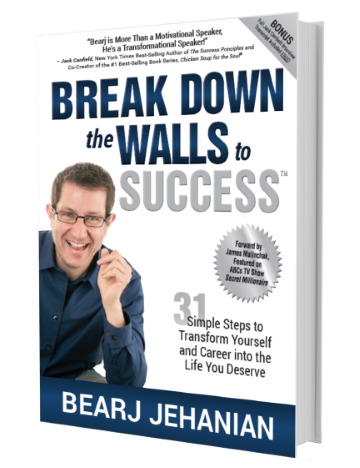 "Break Down the Walls to Success"